Whatever you do, do not call slime mold fungi. That was yesterday’s classification. Mostly they are mycetozoan amoebozoa, but they definitely have a fungus-like look. However, they exhibit an unclassifiable collective intelligence that would scare the bejesus out of Dr. Nils Hellstrom. Slime mold finally gets its well-deserved close-up in Tim Grabham & Jasper Sharp’s The Creeping Garden (trailer here), which opens this Wednesday at Film Forum. Although slime mold has never attracted as much attention from nature lovers and scientists as birds or pretty much every other species of animal, it still manages to attract a small but hardy group of “admirers.” Grabham & Sharp will knock about the woods with one such citizen naturalist, ogling the oozing patches they find on dead logs. They will also retreat into the lab, where legitimate scientists study slime molds’ ability to navigate mazes and detour around poisoned spots. We even meet science-inspired artists who use the branching patterns of slime molds in their work. In addition to marveling at its slow but steady creepiness, Grabham & Sharp also celebrate the time-lapse photography that made their film possible. They even pay tribute to Percy Smith, the British pioneer of time-lapse microscopic technology in a cool tangent. Frankly, his 1931 slime mold documentary Magic Mixies still holds up pretty well, at least from what we see of it. Smith may have gotten there first, but Grabham & Sharp are not exactly traveling down a well-worn path. Perhaps realizing audiences might need some selling on slime mold, they evoke the trippy 1970s vibe of The Hellstrom Chronicle and the eccentric docs based on Future Shock and Chariots of the Gods without overplaying their hand. They also include archival footage of John Chancellor reporting the discovery of a mysterious batch of slime mold in Texas, on what must have been the slowest news night in recorded human history. Yet, the film still feels slightly padded, especially during a gimmicky human-slime mold social behavior experiment that goes on too long. Still, you have to admire a film with this much confidence in viewers’ intelligence. 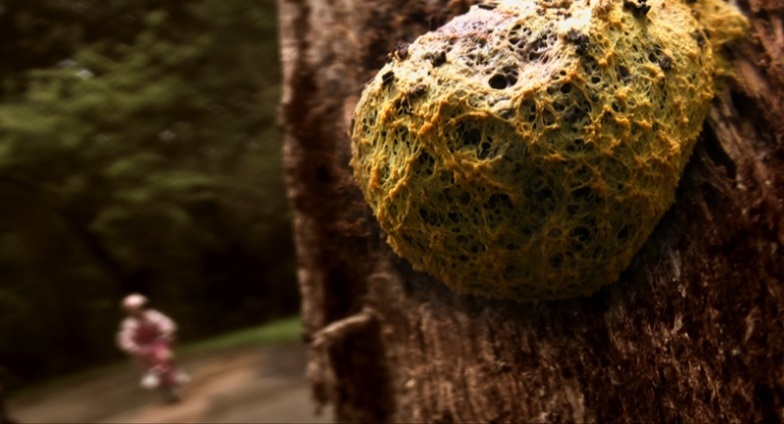 It almost sounds like the product of a dare, but Grabham & Sharp prove you can make a compelling film about slime mold. Grabham and co-cinematographers Ben Ellsworth and Clare Richards capture some incredible scenes of slime mold growth and development—it is all pretty gross at times, but mesmerizing. 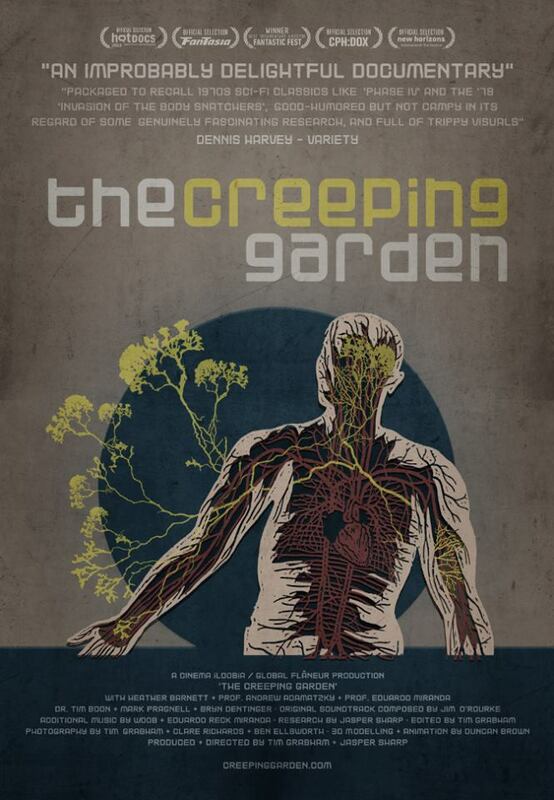 Recommended for your inner nose-picking bratty kid fascinated by creepy-crawling things, The Creeping Garden opens this Wednesday (9/30) in New York at Film Forum.